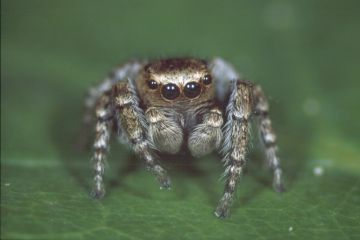 The spider is widespread in the southern half of Britain, but becomes very scattered in the north of England and Scotland. It is widespread in north-western and central Europe. This woodland spider occurs in the foliage of trees and on lower vegetation such as heather and gorse in woodland clearings (Roberts 1995). It is readily obtained by beating lower tree branches and sweeping vegetation (Locket & Millidge 1951). Adults of both sexes have been found between March and November, but mainly in May, June and August. The species is fairly common throughout its range but can be local in some areas (Crocker & Daws 1996).